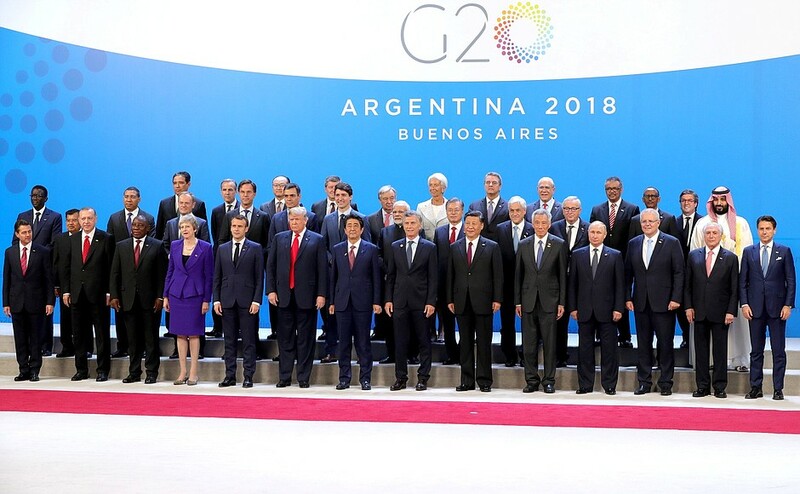 Japanese news agency Jiji reports that at the 2018 G20 economic summit in Buenos Aires, Argentina, political and central banking leaders have taken up the issue of creating an international system for the taxation of cryptocurrencies. To begin with– an international tax of any kind would be the end of national sovereignty. Nice try global hegemonists! When will enough be enough? You already have city, then state, then national taxes. Now international taxes too? God help us if outer space aliens make contact–– there will be galactic taxes on top of all this terrestrial kleptomania! And these politicians, and lawyers, and bankers definitely aren't going to ever discuss bailing out crypto businesses and investors if they lose money on these investments. So what gives them the right to swoop in and take some of the profits from the ones that make money? Why should governments be allowed to let cryptocurrency engineers, and businesses, and investors do all of the work, weather all of the problems, learn all of the lessons along the way, make all of the discoveries and advances, create all of the value, take all of the risk to drive the development of a promising new economic sector, but not get to keep all of the profits? Instead of discussing an international tax on cryptocurrencies, if they're so worried about how to keep replenishing their own chronically mismanaged treasuries, they should go ahead and discuss not bailing out any more banks with taxpayer dollars.